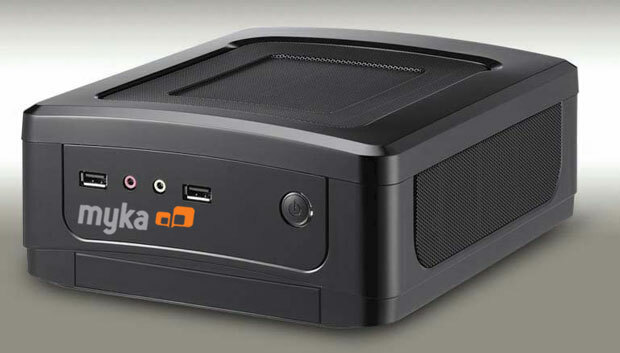 Think of the Myka ION as a nettop built for your HDTV. The little media streamer utilizes an 1.6 GHz Intel Atom 330 CPU and an NVIDIA ION GPU to provide your TV with quality high-definition content. Actually, the Myka ION is more computer than dedicated media playback device, which is good thing. Well, a Linux-powered computer with Boxee and XBMC installed, that is. The company claims that the Myka ION has enough juice to power Boxee, Hulu, and other Internet sites as well as playback HD content encoded at a high bit rate. After peeking the specs, which includes 2GB of DDR2 memory and the aforementioned hardware, I don’t see why it couldn’t. Video can be outputted to a display via VGA, DVI, or HDMI and the audio can ride on either optical or dig-COAX digital channels or over analog outputs. There is even a wireless network option, along with a Blu-ray drive and various hard drive size options. But it’s the software that makes a streamer successful and this guy is stacked. 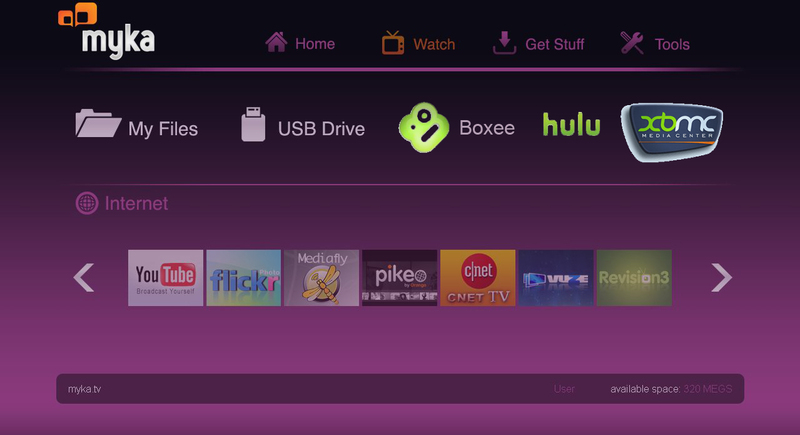 It has everything: Boxee, XBMC, Hulu Desktop and it’s own GUI powered by a full version of Ubuntu 9.10. Needless to say that the Myka ION can probably play back any video file you throw at it. All this nerdy goodness doesn’t come cheap. The base model Myka Ion without wireless or a Blu-ray drive and only a 160 GB hard drive, costs $379 and will take 4 – 6 weeks to ship. Once you add all the options, the price climbs to a $769, which is on par with media centers from Dell and HP. But Dell and HP don’t ship with what looks like to be a killer software suite.